Apple reinvented the mobile phone, and revolutionized the smartphone when it introduced the iPhone. It has been surpassed in overall market share by the me-too, copycat Android OS, and Microsoft's Windows Phone 7 is a worthy challenger as well, but this fall Apple has an opportunity to set the bar for the industry once again, and leave the competition in the dust with the iPhone 5. 1. Verizon (et al). The iPhone 5 will be the first new iPhone model introduced since the exclusivity with AT&T ended (no, the white iPhone does not count--not even a little). The Verizon iPhone 4 has been a huge success anyway, but many Verizon customers held off knowing that a new iPhone is just around the corner, and not wanting to be shackled to an iPhone 4 with 18 months left on the contract. The new unlocked iPhones will make a difference as well. 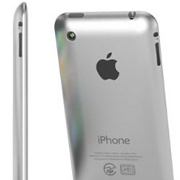 Details are scarce, but even from what little we know, the iPhone 5 could revolutionize smartphones...again. 2. iOS 5. Apple has already shared with us the details of iOS 5. The new iOS will finally free the iPhone (and iPad) from the PC--syncing and updating wirelessly instead of requiring a physical connection to a USB port. The improvements in the iOS mail client, the addition of iMessage, tabbed browsing in the default Safari browser, and the behavior of the Notification Center will all contribute to the success of the iPhone 5. 3. iCloud. Along with iOS 5, Apple will also officially launch iCloud around the same time the iPhone 5 is expected. iCloud will enable effortless, seamless syncing of email, files, music, contacts, calendars, and other content between the iPhone, iPad, and Windows or Mac PCs. 4. The Specs. The iPhone 5 is expected to (or rumored depending on your perspective) to use the same dual-core A5 processor Apple uses in the iPad 2. The processor really just plays catch up to the status quo rather than blowing rival smartphones away, but Apple somehow squeezes better performance and a superior experience out of equivalent, or even inferior hardware. 5. The Camera. The smartphone is quickly replacing the point and shoot, and emerging as the camera of choice for most consumers. It has already put the nail in the coffin of the Flip video camera. But, there is more to digital photos than maxing the megapixels, and most smartphone cameras take inferior quality photos. Speculation suggests that the iPhone 5 will have an 8 megapixel camera, with dual-LED flash for better low-light photography, and that the iPhone 5 camera will set the bar for smartphone photos. Some of this is based on speculation--we don't really know what the camera functionality or hardware specs will be just yet. But, just the things we already know for a fact are enough to make the iPhone 5 the king of the hill and leave all smartphone competitors playing catch-up. It will be like June of 2007 all over again.